490 CAST PLAQUES WITH RAISED TEXTS RECTANGULAR SHAPE h. 16 cm. 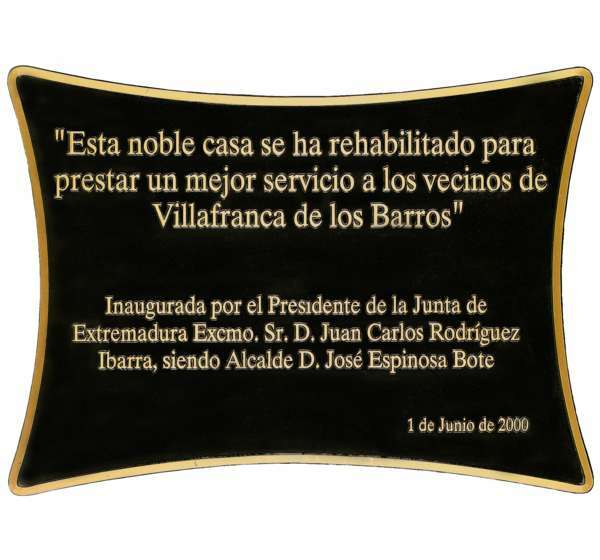 491 CAST PLAQUES WITH RAISED TEXTS RECTANGULAR SHAPE h. 20 cm. 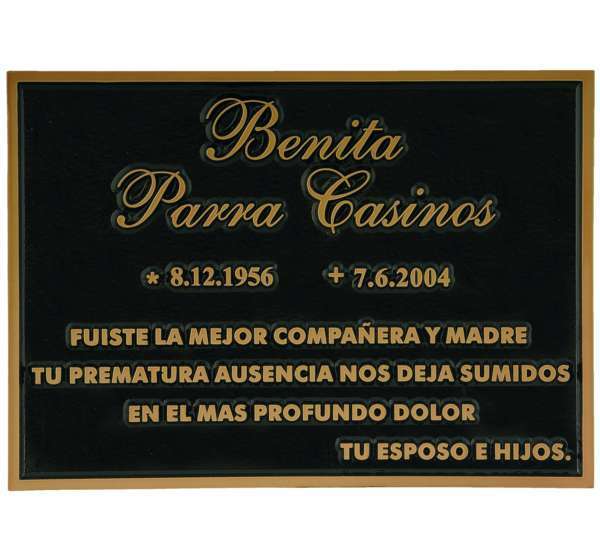 492 CAST PLAQUES WITH RAISED TEXTS RECTANGULAR SHAPE h. 24 cm. 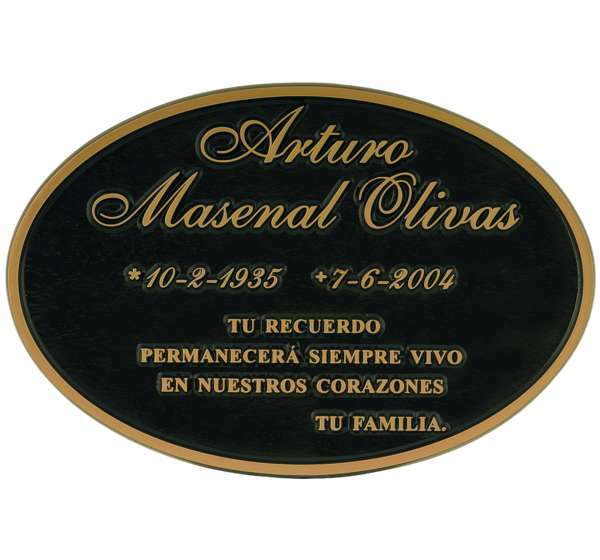 495 CAST PLAQUES WITH RAISED TEXTS OVAL SHAPE h. 20 cm. 496 CAST PLAQUES WITH RAISED TEXTS OVAL SHAPE h. 25 cm. 500 SPECIAL WORKS WITH ANY SHAPE, TYPOGRAPHY AND MOTIFS < 1000 CM2 h. -- cm. 502 SPECIAL WORKS WITH ANY SHAPE, TYPOGRAPHY AND MOTIFS > 1000 CM2 < 2500 CM2 h. -- cm. 504 SPECIAL WORKS WITH ANY SHAPE, TYPOGRAPHY AND MOTIFS > 2500 CM2 < 4940 CM2 h. -- cm. 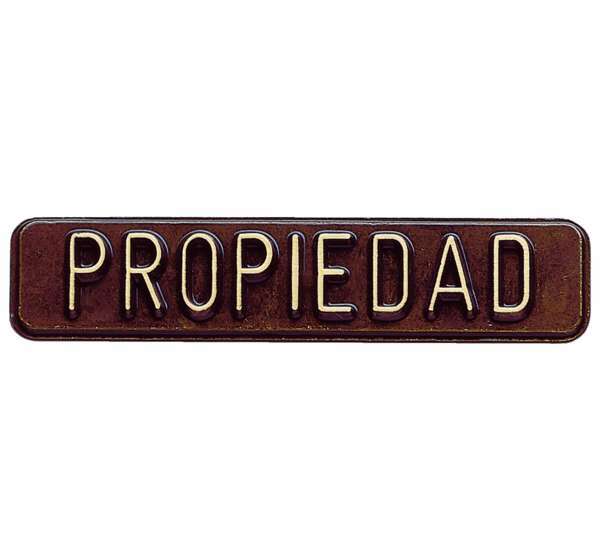 7628 PLAQUES WITH EMBOSS-INJECTED TEXT 'PROPIEDAD' h. 10 cm.